Check out Spec Ops: The Line on Steam, but remember kids, don’t buy it until the Linux version is released to make sure VP get their share of the monies. How does everyone feel about Virtual Programming doing another port? witcher 2 and bioshock infinite are perfect for me without issues and superb framerate. (probably lot lower than windows versions, but got enough hardware to overcome that). 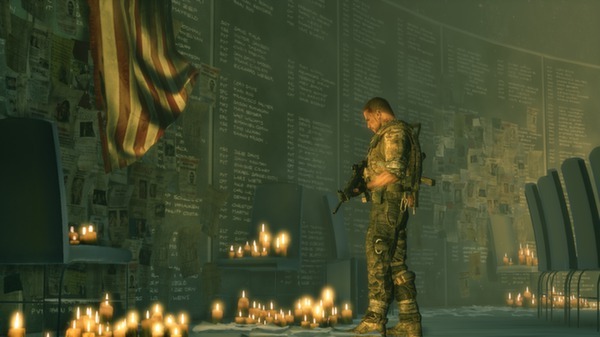 I played Spec Ops: The Line on a friend's console a few years ago. It's a game with an interesting story but is rather linear and probably not worth playing through again. It's good that it'll come to Linux but I think I'll pass on this one. Good on VP for improving their technology. I think there's a lot of older games that developers/publishers don't care about anymore that they could port competently but I'd just as soon not see wrappers for newer games. I'd rather see newer games ported ideally in-house but if not by either Aspyr or Feral who have generally delivered consistently good ports. Or you are unlucky - the BI works absolutely perfect on my slightly underpowered notebook. One of the best Linux ports I've ever played. But one small thing: the CPU governor has to be set up in the performance mode. Otherwise, you'll see shuttering. So there is another good game, that will never get a native port? I hate you, VP. I've seen some kind of memory leaks with the VP ports I have, except for Stronghold 3 which works well. Bioshock Infinite starts to go slower and slower after a while, until it crashes. I went to check out the game and i already own it... how cool is that? Great news. It looks like Steam Machines will launch with far more AAA games than the PS4 launched with. Can't wait for November.